New Delhi: The government has made Aadhaar linking to various instruments in order to benefit from schemes. 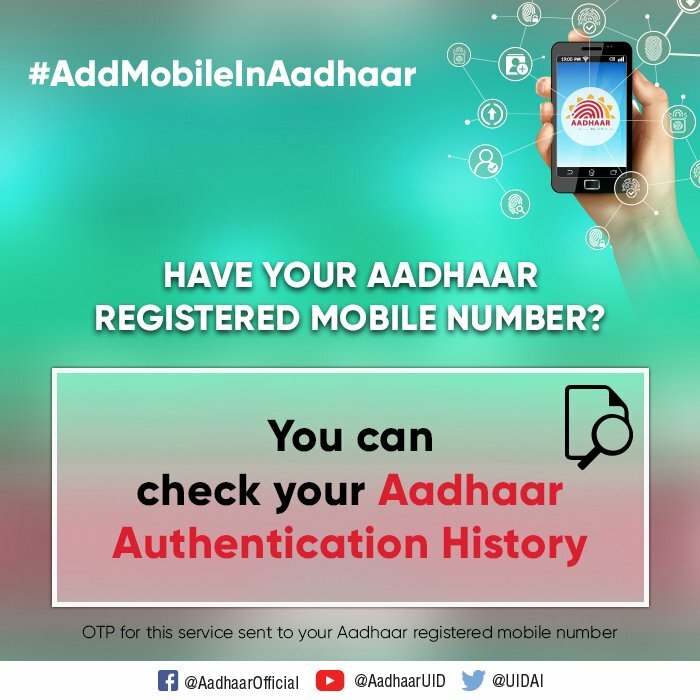 The Unique Identification Authority of India (UIDAI) website allows Aadhaar holders to check their authentication history. You can carry out this process all by yourself, nobody else can authenticate on your behalf. If you come across a transaction which was not carried out by you then contact AUA (authentication user agency). You can raise the issue with UIDAI by calling 1947 or by mailing about the suspicious transaction to help@uidai.gov.in. 2. Under my ‘My Aadhaar’ tab, go to Aadhaar Services and then click ‘Aadhaar Authentication History’. 3. On the Aadhaar Authentication History page, enter your 12 digit UID and then mention your security code. Click ‘Send OTP’. 4. The one-time password (OTP) so generated, is sent to your registered mobile number. 5. In the next step, select the Authentication Type such as demographic, biometric, OTP, biometric and OTP, demographic and OTP, and demographic and biometric, date range, number of records you wish to be displayed and enter OTP. Click the ‘Submit’ button. 6. On the page opened, you will be able to see the authentication history along with authentication modality, date, time, the name of the AUA. One important point to note here is that you can see a maximum of 50 records at a time of the past six months. In case you wish to find a specific transaction, select the specific authentication type and the relevant date range.